Ninoy and FM (Ferdinand Marcos) were more than friends. When Ninoy was in detention, he and Ferdinand Marcos would speak with scrambler telephones. During FM's state visit to the U.S. in 1982, the two of them talked for an hour about good times. FM was actually considering Ninoy as his successor. He admired Ninoy for his being a courageous fighter and his vigor. They were on the same wavelength. In fact, Ninoy's "Iron Butterfly" speech against Imelda and the Folk Arts Theater was edited by FM. I know because I was the intermediary. From the very beginning, FM gave instructions to the military to be lenient with Ninoy. Pero sino nga bang pumatay kay Ninoy Aquino? There are a lot of speculations and theories circulating around the internet nowadays. 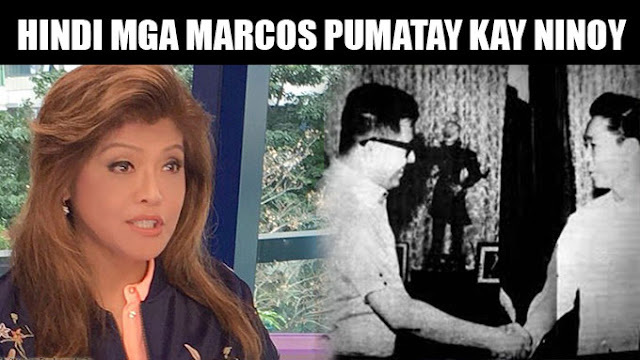 Was it really the Marcoses? Or was it the Cojuangcos as well as the people behind the 1986 EDSA People Power? It's a desperate moves of the so called "Dilawan" to oust the late Ex-President Ferdinand Marcos and put Aquinos to the highest position in the country. And that, ladies and gentlemen, is the very first time that we, Filipinos became their slaves. We are blinded by this "biased" medias for a very long time. Naging sunud-sunuran at naging uto-uto tayo. Aminin man natin o hindi.